This is a recent photo taken during a CPCC Crime Scene Photography class. The photo was taken in complete darkness as students learned to shoot bullet trajectory photos at night using lasers. 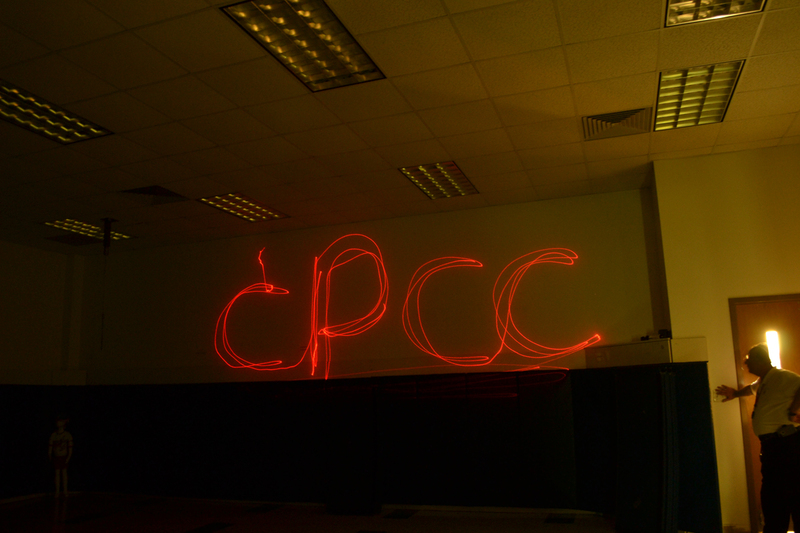 The photo was taken in a CPCC activity room and the writing on the wall was done by Burnie Foster, an instructor from the FBI Evidence Response Team, with a laser.